The offer includes: 2 nights stay for 2 people in a double room + half board service + bikes renting and pick-up service along the Terra Alta Greenway + 2 tickets to visit the Centre Picasso d’Orta: € 245.00 (VAT included). Offer not available in Easter, New Year’s Eve, long weekends and the month of August. 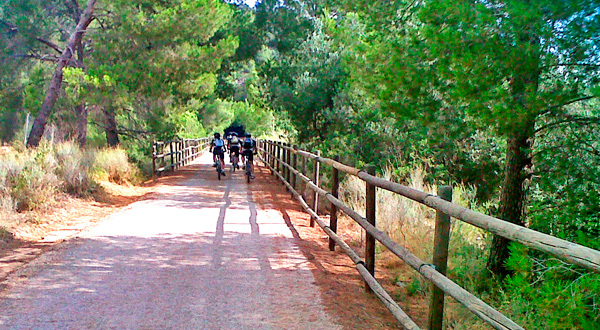 Bike excursion: from the old railway station of Horta de Sant Joan to that of Pinell de Brai.